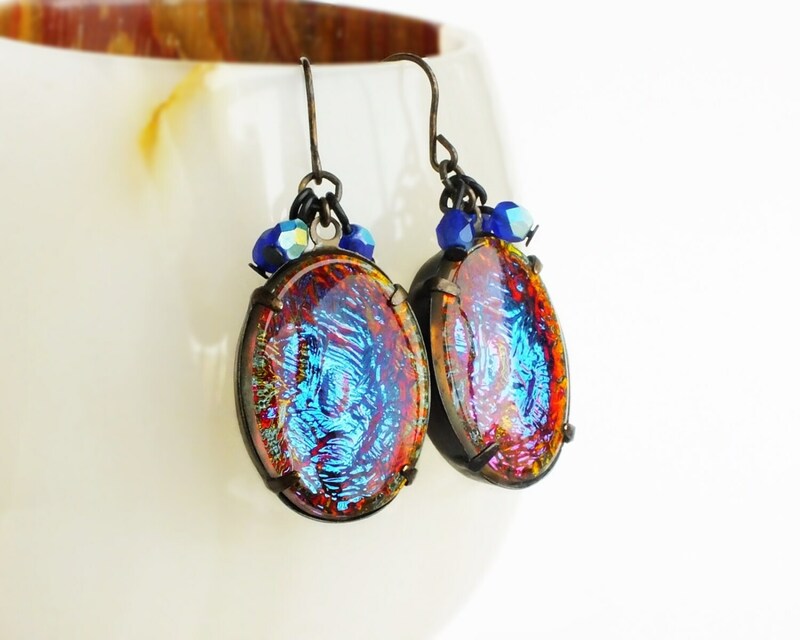 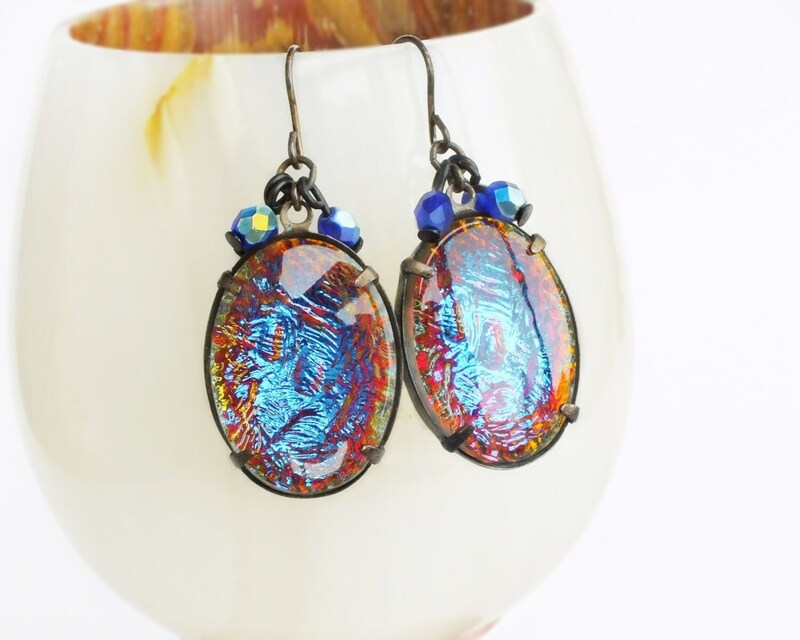 Large handmade iridescent crystal earrings with large vintage rainbow Vitrail glass stones. 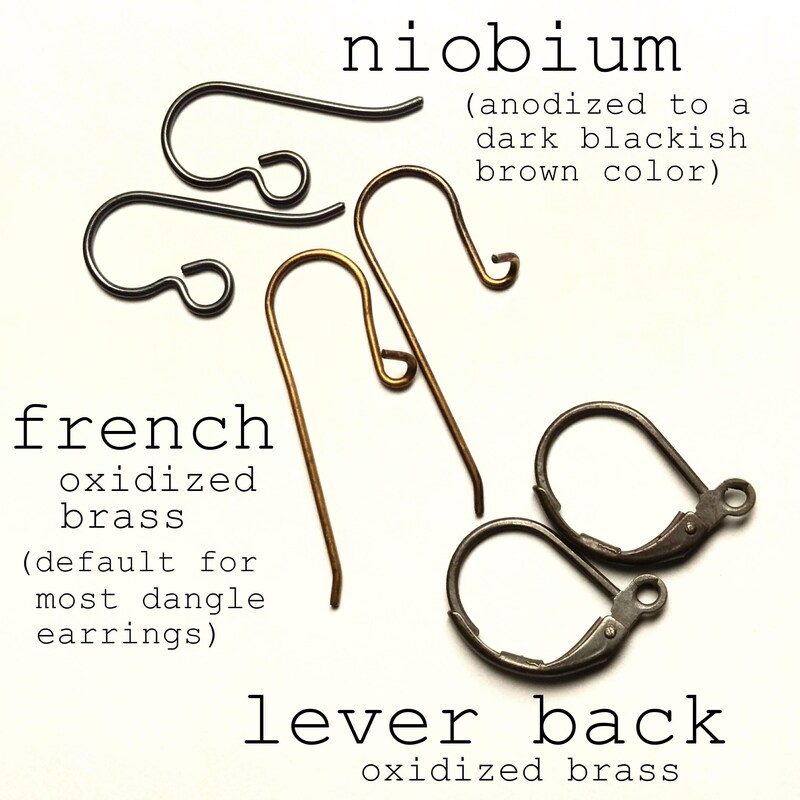 US made antique brass settings and ear wires. 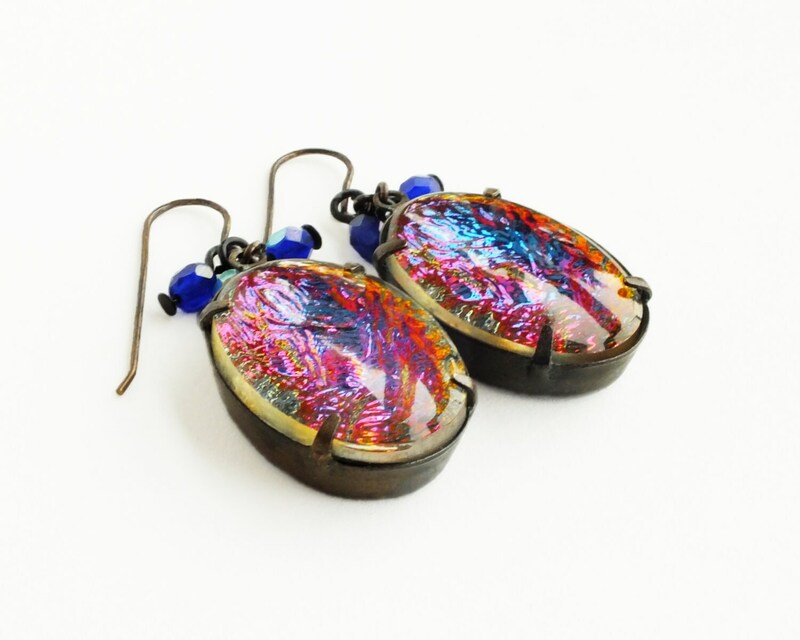 Made with *amazing* rare vintage glass reverse carved Vitrail jewels featuring incredible color-shifting landscapes with smooth tops. 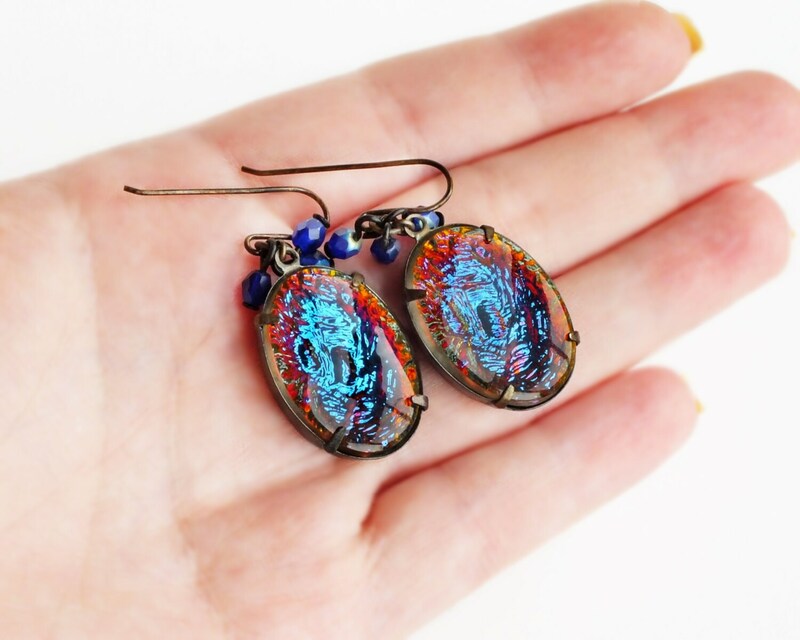 I have never seen such beautiful cabochons! 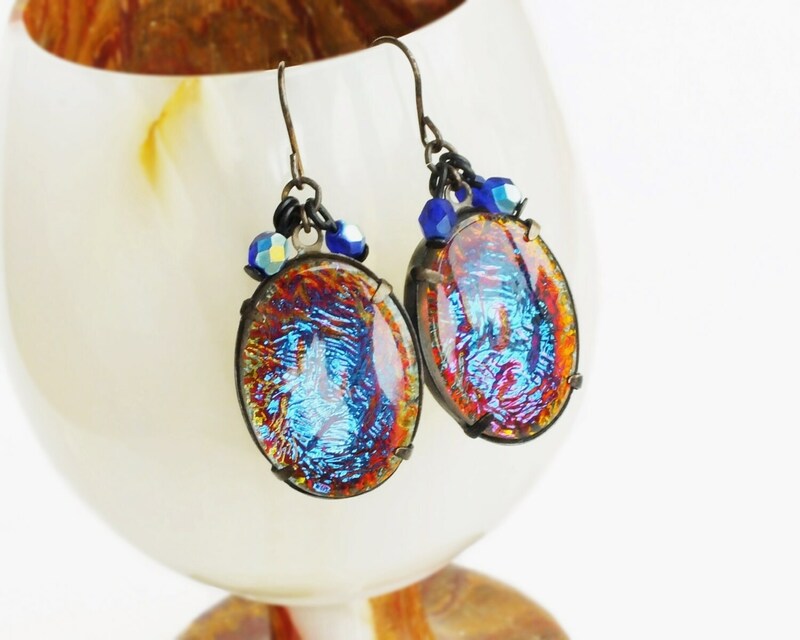 These are absolutely *dripping* with glamour!